The chief female forensic investigator, Ran Yan was secretly killed by her assistant. Unexpectedly, she was reborn in the years of the Tang dynasty. After experiencing a narrow escape, she fled from Jiangnan to Chang’an. Although, Chang’an was at the beginning of its flourishing period under the Li family’s Tang dynasty, various princes were vying for the throne by using all kinds of strategies. This was the dark days of the imperial court, where one needed to walk on a tightrope as one’s life was as powerless as an ant. The Xiao family controlled a large amount of wealth so inevitably they also became involved in the conflicts. After arriving in Chang’an, she discovered many suspicious incidents: the original owner had unexplainable amnesia but his family was indifferent. She once again saw the orchid shaped clay inkstone, a valuable object that her mother has given her in modern times. Hence, could it be that she can time travel back? In order to survive in the Tang dynasty, she displayed her strong spirit and willpower by learning medicine from a doctor, pretended that she benefited from being sick on how to cure diseases, suffered hardship in earning money, manufactured penicillin, cured syphilis, and used her autopsy skill and experience to solve each and every murder mysteries. There's so much knowledge and emotion in these chapters, it's not something written just to add more chapters, it's a real masterpiece of the genre. If you like reincarnation novels, a knowledgeable and capable female lead, romance, psychology, and ancient china, you will love it. It's different from the other novels related to "doctors" since she is a forensic doctor, as the title say. There is the presence of corpse and sometimes the descriptions are quite powerful, there are also lots of murder cases etc, kind like detective conan. During the... more>> reading you will feel lots of emotions, also because we deal with psychological themes with the killers. The main female character is really good, strong, beautiful and capable, she is easily attracted to really handsome male character with a good bone/muscular structure for... research purposes I would say. There is a beautiful mix of funny moments and serious ones, the male characters are pretty good too. For what I gather now, there are in particular 3 male characters that will divide the attention of the public, and I have to say, it's so easy to ship for the "wrong" one! I mean, it's not really wrong, but the female character herself will say at some point a phrase that made me understand I was cheering for the wrong couple.
" At the end the one that will accompany you until you hair becomes white is not necessary the one you love, but the one that is most suited for you " My heart broke at this point (T-T). Its reaaally good one. I read a lot of time lapsing novel, but the MC on this story is really logical in taking things up. Its your usual sickly MC that went well after soul swapping, but it has beautiful setting, poetic, the author beautifully mixed the MC modern way of thinking while keeping things in the era. Read till ch.11 and couldnt help but craving for more and more. Sadly, the translation went hiatus. Its really promising story. I hope somebody pick it up again soon :"
As we all know transmigration story grows like cancer, but since it grows to be a genre instead of overused plot... we can't say it's lack of originality. If anything, diving to this genre test an author's skill. The author is undoubtedly put a lot of effort on character and plot. First of all, while I haven't checked the history background of this story judging from how much material laid out about culture says a lot about meticulousness in world building. There's not much artistic liberty since this is a... more>> real historical setting, which is rare for transmigration story. The main character is a forensic doctor as the title says, Yan Ran. What's so admirable about this character is her strong resolve to survive. She transmigrated to the past with only her knowledge and skill to support her. She might be the legal daughter of the family, but she has nonexistent power and her father seems to view her as political marriage tool so far. Even though she is a modern woman with modern mindset of a career coroner, she looks at her present world logically and decided her previous career choice would give her trouble. So she opted to be a doctor and try to make a living once again. She is also not eager to pay back family members who wronged her, as she logically concluded even if she has solid case against her step-mother it's not worth making a real enemy in Yan family. Which I find a fresh take on transmigrated character, whose vessel more often than not suffer injustice. Yan Ran is more concerned in making livelihood and taking care of her two loyal servants. Side characters more often than not are weak points in Chinese web novel, more often than not there's not much background and characterization in them. This story is a slow going so there shouldn't be much but some of the character like young teacher Sang Chen has well-thought character. He is not exactly the best one but he is unique and betray the first impression spectacularly. Yan Ran's servants are also described well in their character. The young servant is cute, loyal but impulsive Wan Lu. Steadier, wise, loyal but bitter Min Xiang mama. As for the plot... there's no significant progress in romance as we don't even know if we have seen the male lead yet. 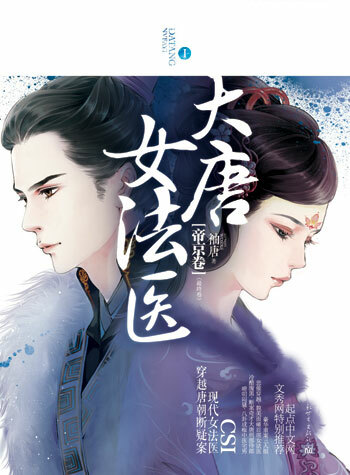 Possibly there's one appearance but that's it, so when reading this novel don't expect romance as much as drama of Yan Ran exploring life in Ancient Tang Dynasty. This is a slow burn story with good length in each chapter, the drama and Yan Ran's wit is enough to keep reader hooked regardless. Be warned of graphic description of forensic record, the author definitely did her homework in this. Some delicate issue like prostitution and STD are mentioned so perhaps there's a need for R-15 rating at least. So far, this is probably the most realistic transmigrated/reincarnated doctor I've read. Female forensic expert and workaholic Ran Yan is murdered by her assistant. When she awakes, she finds that she has been reborn in the Tang Dynasty -- as an unfavored, first legitimate daughter, thought to be terminally ill and sent to the poor countryside. Ran Yan decides to use her skills to live well in her new life. Maybe some romance will be coming later, but nothing so far. I really like this story, not necessarily because of its plot, but because of the realism. First off, the main character, Ran Yan, is very believable. This is a woman who, after experiencing the loss of a friend, became a workaholic and leading expert in the field of forensics. She is level-headed, not very expressive, and intelligent. To others, she seems cold -- but she is NOT heartless, invulnerable, emotionless, or "black-bellied" like other female transmigrators. I like that she's just a typical introverted "thinker" personality (a person who makes decisions based on logic rather than emotion, and isn't that great at social engagement). Ran Yan has a very practical "survival mindset." She's not out for revenge, even though her new stepmother and stepsister tried to harm her original host. She doesn't fight or create unnecessary enemies. She's not against being polite to petty girls, and she doesn't mind being married as long as it's to a decent man. Since she transmigrated to a real point in history, she understands her position and rights during this time period. Which brings me to the next best part -- her medical/forensic skills. Ran Yan is NOT a genius doctor, nor does she possess any supernatural skills or godly talent. She has some knowledge of modern medicine due to her studies (but not enough to become a full-fledged doctor), so she chooses to focus on women's health. She loves forensics and analyzing corpses, but she knows that it's socially unacceptable for a young lady in that time period. Unlike other female doctor MCs, she doesn't flaunt her skills, and instead finds ways to work under the radar. So far, I give this novel 5 stars. I'm glad someone picked up this novel. This is a very interesting novel and has it's own originality. Although the MC is a doctor that has transmigrated, she does not have a system or guardian to rely on. A slow burn of a story, set in the days of the Tang Dynasty of China. The MC was a female forensics investigator who was killed, and awoken to find herself in the body of a bed-ridden lady; sent far away due to the schemes of her step-mother who wanted legitimacy to take over the household affairs. The story has the hallmarks of the usual family drama setting, sharing similarities with Mei Gongqing; including the relatively close time period and similar conservative concerns about ladylike behavior and reputation.... more>> We get to read about the doubts of the MC as she treads cautiously in her new world, afraid of revealing too much of her modern knowledge and sensibilities. The translated chapters are sufficient as a teaser and I hope we get to read how she would later be confident enough to apply her skills in the historical world. The story itself is good, kudos for the translator to pick up this novel but the translation too slow. Just wonder with this pace of translation, how many years it will take to finish to read this novel. Hopefully there will be another translator to work with the current translator to update the chapters more quickly as this novel is adapted to drama that will be aired next year! This novel is worth reading not like others usual transmigrator or reincarnation novels. I love how the female character is strong. So far, I was on chapter 50. Things get more interesting now. I love it. Thank you for the translator hardwork. God Bless You. Hugs. a good novel where the MC is a coroner with a corpses fetish. She LOVE all that linked with corpses. Although all supporting characters around MC are either dumb, naive, low IQ, or undependable (sang chen, wan lu, young master qin, MC father, etc) that most of the time only inviting unnecessary troubles for MC. The story pretty much goes smoothly well without any future hightech or op skill..
Love it so far. The translated chapters is only the beginning of the story and haven't develop yet. That's why I can't give a thorough review. Hence, I'm awaiting for future update.